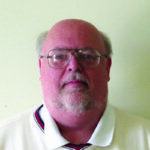 Pastor Lloyd is an Elder in the Eastern Pennsylvania Conference of the United Methodist Church. He is a graduate of Messiah College (B.A), Easter Baptist Theological Seminary (M.Div. ), and Lancaster Seminary (D.Min.). He has chaired several District Committees on Ministry, served on the Conference Board of Ordained Ministry, and is currently the Annual Conference Secretary. He is also a member of the Order of St. Luke, and a certified trainer for Prepare-Enrich Premarital/Marital Counseling. He is married to Sandy, and has two sons: Jonathan and Stephen.